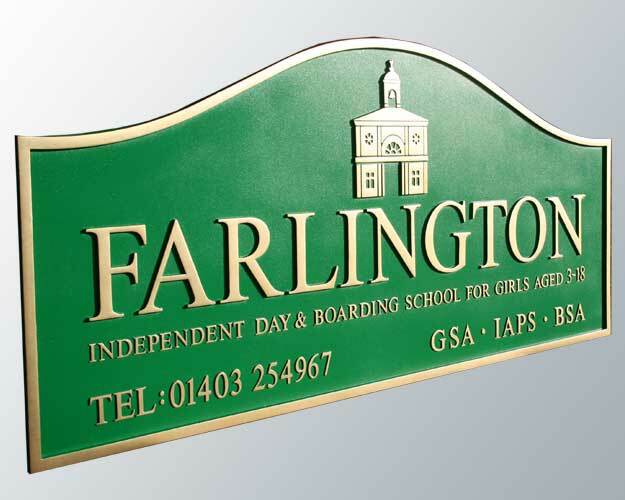 As manufacturers of finely detailed cast signs, Signs of the Times have been commissioned by many prestigious schools to make their signs. Cast polyurethane, bronze, brass, aluminium and fibre glass (grp). 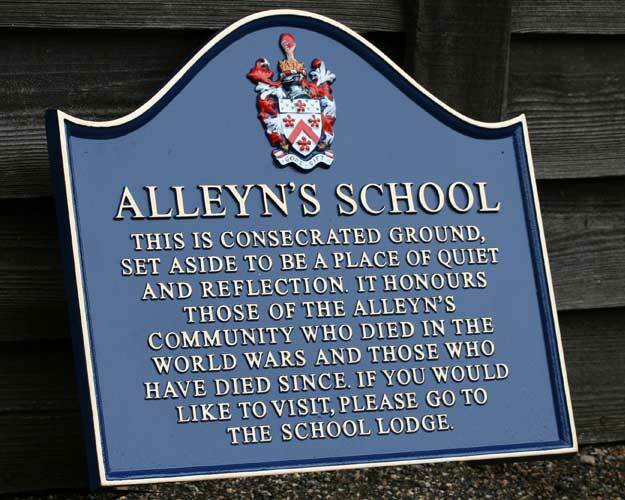 Cast signs are supplied in almost any size and shape. 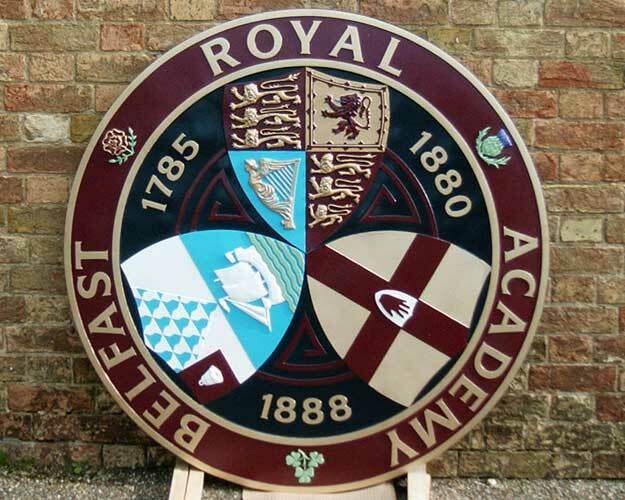 The domed rectangle, as in the FARLINGTON example, is very popular as a logo or coat of arms fits comfortably into the dome. Letters, border, logos, motifs and complicated coats of arms are all realised in relief. Background colours are spray finished and the relief detail is all hand painted by our talented artists. 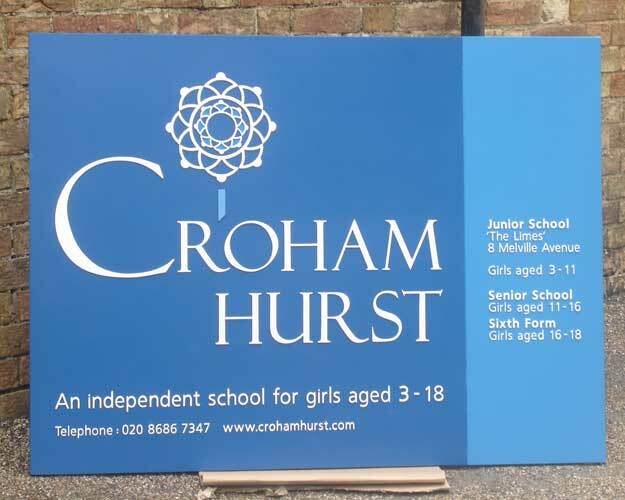 School signs can be single or double sided (two cast panels),and if required can be curved to fit convex or concave walls. Clients are encouraged to send us any artwork, size and shape details at an early stage so that we can quote accurately and assist in the design if required. 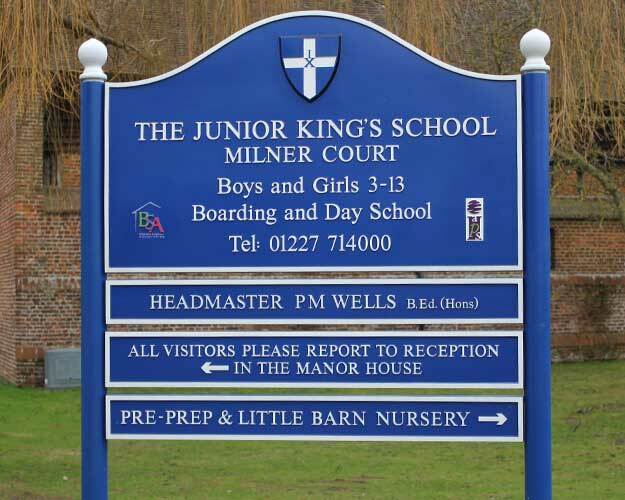 School signs can be drilled for wall fixing or we can supply aluminium posts etched and painted to match the signs complete with fixings. Stainless steel, wooden posts and galvanised and powder coated brackets are also supplied if necessary. To make an enquiry complete the form below giving as much detail as possible regarding your requirements. Copyright © 2015 Signs Of The Times Ltd. All Rights Reserved.